Mr. Pothitakis practices in the areas of Iowa Workers' Compensation and Personal Injury. He focuses on helping Injured workers in their fight for full compensation when injured at work in Iowa. His personal injury practice focuses on auto accident and other litigated claims. As an AV-Rated attorney by Martindale-Hubble and a 10.0 out of 10.0 rated attorney by AVVO he is highly skilled and qualified in his areas of practice. 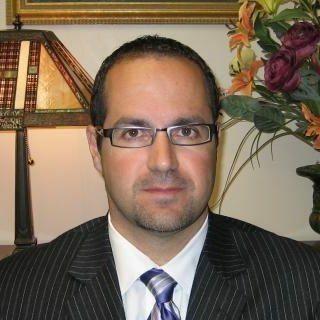 Mr. Pothitakis handles cases across the state including cases from Davenport, Bettendorf, Muscatine, Burlington, Keokuk, Clinton, Dubuque, Iowa City, Mt. Pleasant, Fairfield, Ottumwa and most other Iowa towns. Activities: Elected Treasurer of the Iowa Association of Worker's Compensation Attorneys. Iowa Auto Accident- What Do I Do?